The wait is (almost) over! 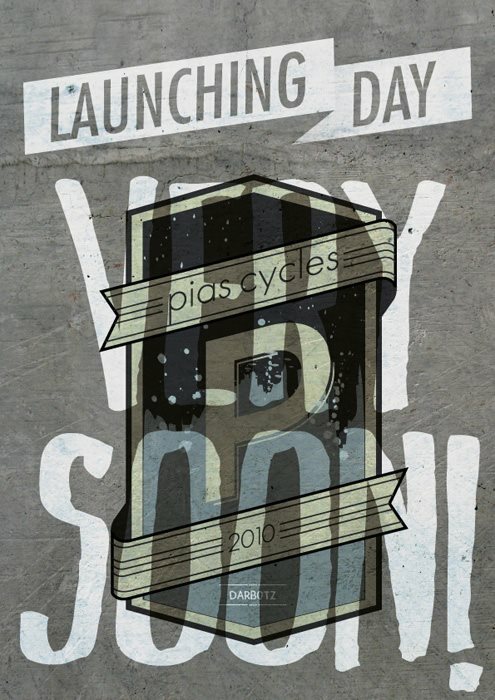 Be prepared for the first batch of PIAS frameset to be delivered by Sumvelo somewhere by the end of this month. Finally, your chance to get your hands on the most talked-about steel frameset for the last couple months! The PIAS frameset will only came in one model. If you’re just like me who craved for classic, ornate lugs found on the prototype with the level toptube (known as the model "A"), too bad, it’s the model "B" or the forward-sloping toptube version that goes to the assembly line (thus making me the only person in the world who owns a 55cm-sized model "A" PIAS. Ha!). The tire clearance on the fork was also reduced to accept 25c tires instead of 28c. But fear not, the sportier, pursuit-styled production version still retains the same slacker-than-your-typical-track-frame angles, long wheelbase to reduce toe overlap, and snappy handling characteristics that combines the best of both worlds between road and track bike. Best of all, this could be the only pursuit-styled steel fixed gear frame ever to be available in Indonesia in recent times, so they will fly off the display racks real soon. To prevent us from being sued by the good guys at Sumvelo and Cyclonesia for spreading too much details, and giving you an idea of what your PIAS build would look like, check out the latest setup on our (again. HA!) prototype PIAS. Not much changed, just swapped the homebrew saddle with original Charge Spoon that was previously installed on my retro MTB, Alex Race 24 rims laced 3-cross out back and radial at front to Novatec track hubs (again, with 17T freewheel), and Charge U-Bend bartape to match the Spoon. The brown genuine leather graced the overall classic design. Matched the saddle while provides good grip, even in the wet. The fixed-side of this fixed/free hub was a bit shot anyway, so why not put a good freewheel on it? You won't be able to run rear brake on the production version since the seatstay bridge will be located higher. Excited? You have to be patient, then. Meanwhile, don't forget to check out and like their Facebook fanpage. Stay tuned!